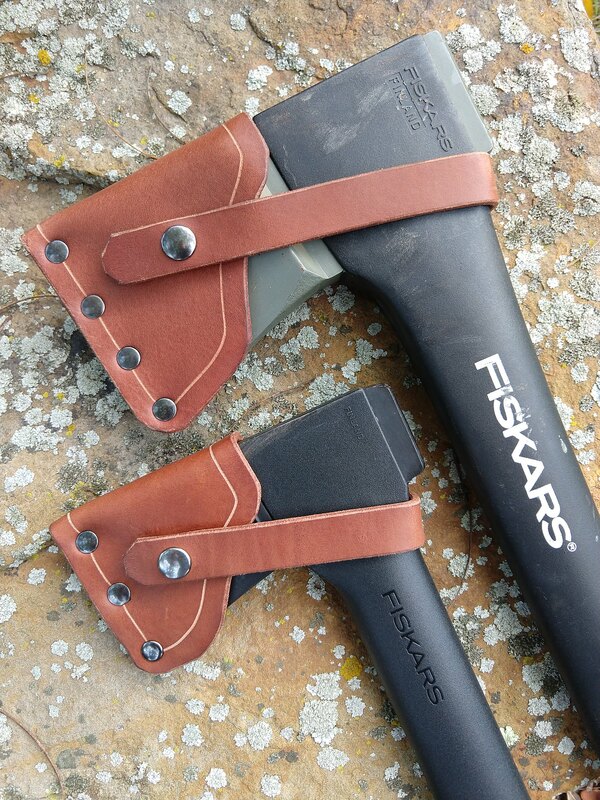 I love my Fiskars axes, but I love them even more with handcrafted protection! Those are awesome, NutSAK! Like lingerie for axes! The look great. Well done. I don't deserve any credit, I just bought them.